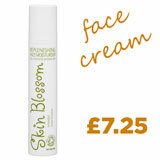 We’re so excited to announce the re-launch of Skin Blossom products at So Organic. 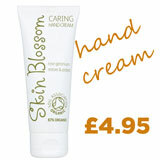 It’s rare to find a range of organic products that ticks so many boxes at such a tiny price. 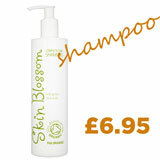 Beautifully package, certified organic formulations which are suitable for vegans and do exactly what they supposed to. 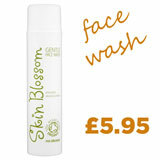 The Skin Blossom products range starts at £4.95 and nothing costs more than £7.95. We’ve put them through their paces and are thrilled to be able to say that we love the lot. The bumper sized 350ml bottles of Body wash, Body Lotion, Shampoo and Conditioner are around the lowest priced in our range so Skin Blossom products are perfect if you’re looking for big bottle value for the whole family. If you fancy giving them a try there’s no better time. 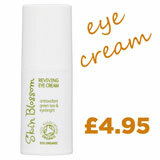 Spend over £20 on Skin Blossom products while stocks last and receive a free Skin Blossom organic eye cream to complete your routine. UK delivery is Free too.